Perspectives on design terminology. A book for all those who work in design, study design, are interested in design or want to understand more about design. 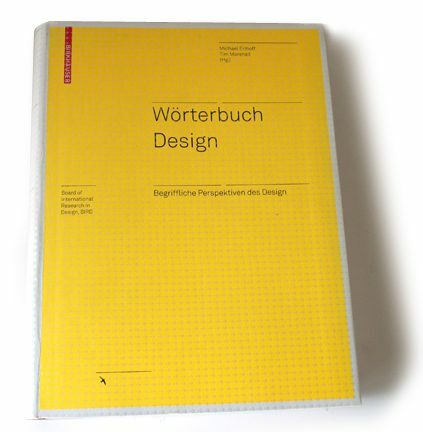 More than 100 international authors have written essays for this book, offering, regardless of cultural differences, suggestions for overarching essential categories of design and, thus, for a fundamental way of talking about design. Includes terminology from both recent and traditional design discourses. A practical book for study or browsing.